I was born in Las Vegas, Nevada on June 9th of 2000. I was raised by my mother and see my father once in awhile. My mom is a Haitian/Pacific Islander, and my father is Mexican; born and raised in Jerez Zacatecas. I was raised as an only child, however I have three biological siblings. Those three siblings I refer to as my cousins. I was raised in a Spanish home with those “cousins”. My mother was always at work 9-5. So fortunately for me, I learned to speak Spanish. I have had a profound interest in music since a very early age and started playing with instruments at the age of seven. In school I am very active in the music offerings and have played the cello now for about six years. My biggest interest is in Piano and Singing but, play multiple instruments. Music is my passion – my love – my life … without it, I could not exist. I have been lucky enough to have a mom who helps me live my dreams, I have recorded many of my Original songs which will be released soon on my first album titled “KEEP BEING ME”. 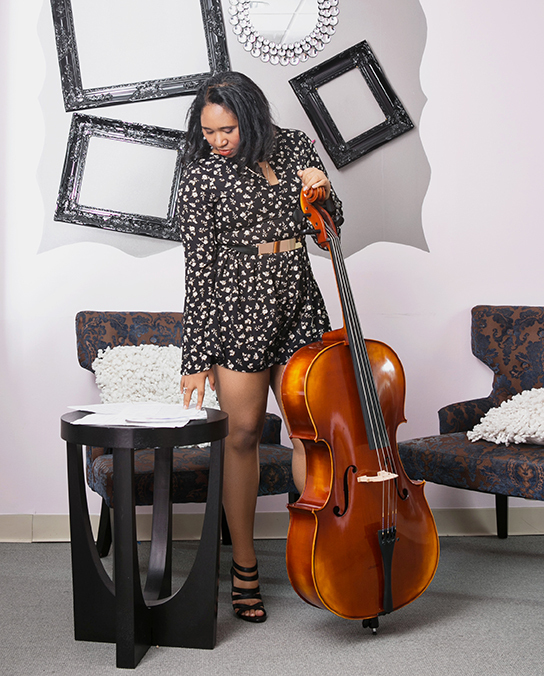 Kiara is currently seeking to collaborate with other artists and try new things in the musical realm.